A firm favourite in our diary and right on our doorstep, Falmouth Classics is one of the largest classic regattas in the UK. The Greenbank is a major sponsor of their 30th anniversary this year, which will see over 200 yachts racing. We can’t wait! There are two races today – one at 11.30am and one at 2pm. Hire a picnic hamper from us to tide you over, and feast on many Cornish classics from just £24 for two people. If you want to watch the larger boats racing in the bay, Cliff Road and Gyllyngvase beach are our top choices. Boats built as long ago as 1882 and lovingly restored will take their place alongside many more launched before the Second World War and other more modern versions of the classic designs. The fun continues from 7pm until 11pm in The Working Boat, where we’ll be hosting sea shanty performances. Our barbecue will be in full swing, as well as our fish and chips Friday special. Or how about watching the action from the Water’s Edge terrace with a cocktail in hand? Check out the rowing and sculling races, starting at 10am from The Greenbank. The latter race of the day starts at 1.30pm. There are many viewing spots around the town, with our favourites being Pendennis Point, Trefusis Point and Castle Drive. From 1pm until 11pm in The Working Boat, moor up and sink a few whilst watching our sea shanty performances. We’ll also be cooking up a storm on our barbecue all day (Cajun butterfly chicken, glazed pork chops, fish kebabs, veggie burgers, salads and more!) Our exterior pop-up ‘Boat Bar’ will serve Black Rock beer, Jubel peach beer, ale, wine and Tarquin’s gin. We’ll be heading to Pendennis Castle to watch the magnificent Parade of Sail and Power, and recommend heading there early for a good spot. Or if you fancy venturing further afield, the coastal footpath around Place, St Anthony’s Lighthouse and St Mawes Castle are ideal locations to watch the action. 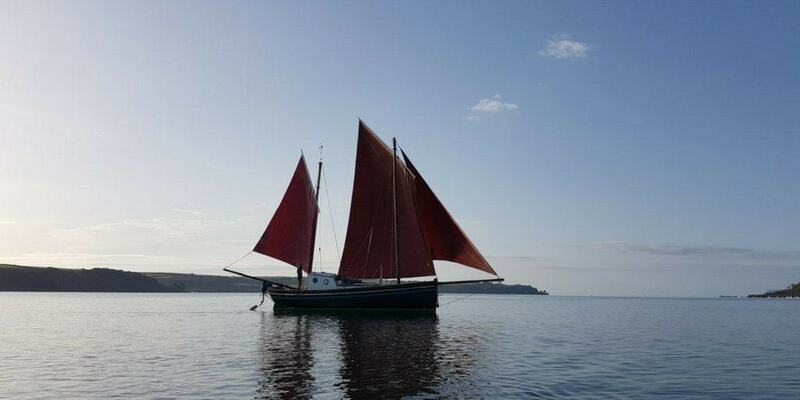 Starting at 10.30am, The Parade of Sail and Power is a stunning spectacle of pilot cutters, working boats and other traditional craft under full sail. Then how about an epic Rigger’s Roast from the pub, before the Parade of Small Boats at 1.30pm? This display concludes the regatta, with boats less than 20 foot cruising from the inner harbour. From midday until 4pm in The Working Boat, we’ll once again be hosting sea shanty performances. The perfect way to finish a wonderful weekend! We’ll also be serving burgers, fish and chips, hot pork and apple baps, hot beef and horseradish baps, and homemade desserts in addition to our roasts. Food served from midday until 9pm. Our Water’s Edge restaurant has its special Father’s Day Sunday lunch, with three courses at £26.95 and a free pint for all dads. To book a table in our pub, please call 01326 314283. To book a table in our restaurant, please call 01326 312440.